A yoke is a fitted band at the top of a skirt that takes the place of a waistband. Instead of sitting up around the waist, they fit from the waist down over the hip. (Or, from where ever the skirt in question starts on the hip.) 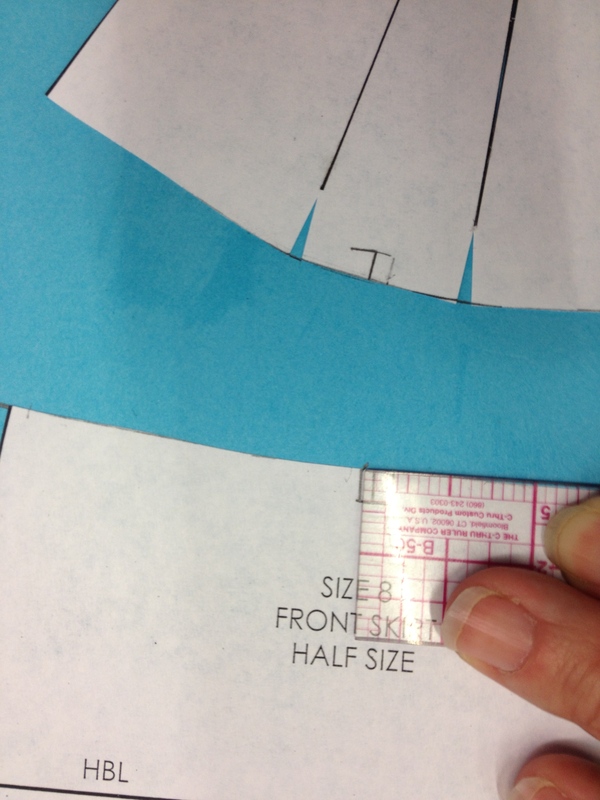 If you plan to put a gathered skirt under something snug that fits past the waist, like a fitted jacket, using a yoke will allow you to eliminate bulk under the fitted piece. Waistbands won’t do that for you. I like yokes because they are dead simple to make from a skirt block. The first thing to do is decide how deep the yoke should be. 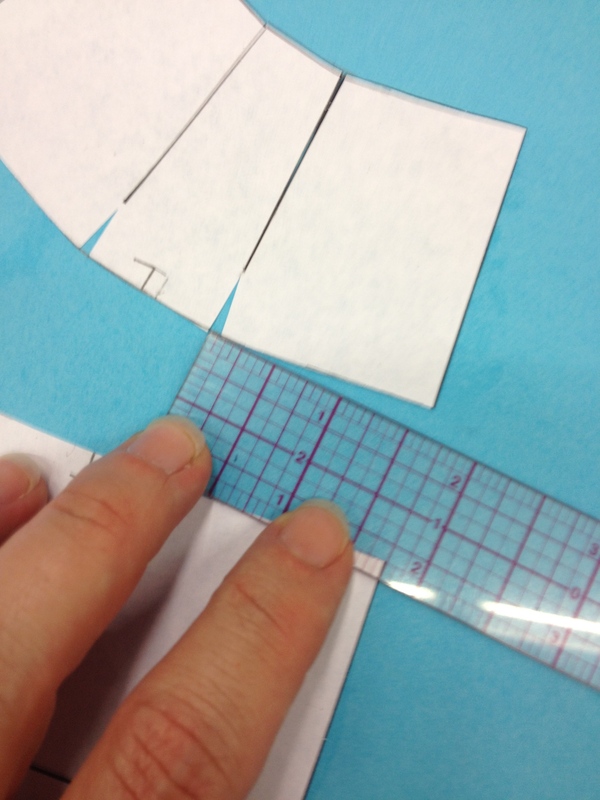 We used 2″ for our halfscales. 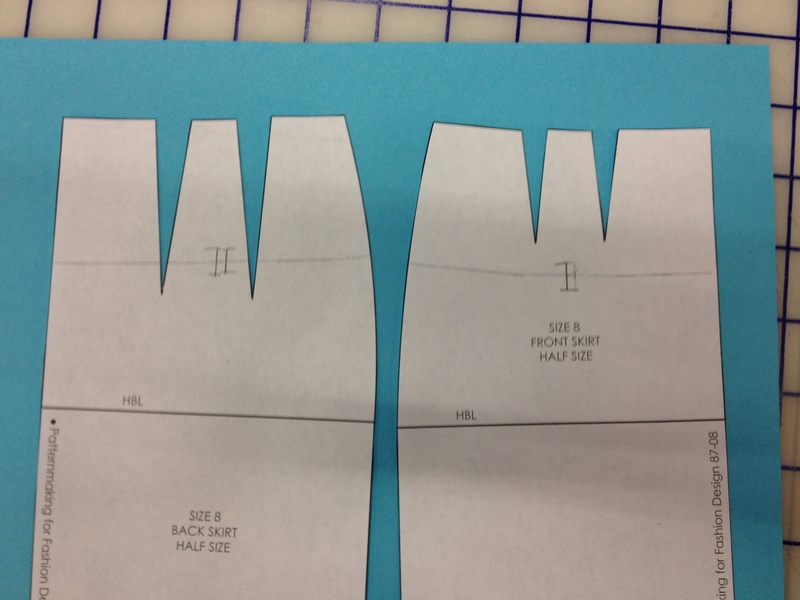 Mark 2″ relative to the top of the skirt block. Don’t just draw a straight line across. This part of your body isn’t straight, and you’ll get a frowny-face yoke if you try. 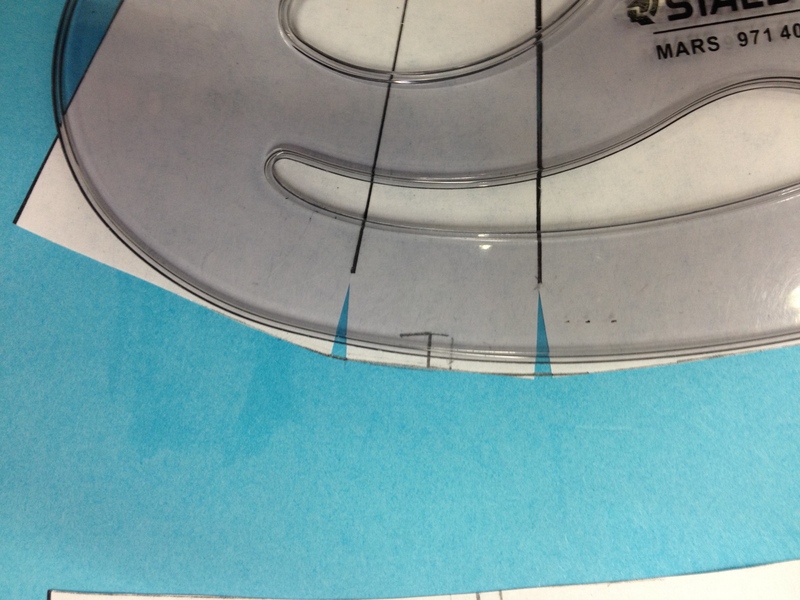 Measure several places relative to the top. 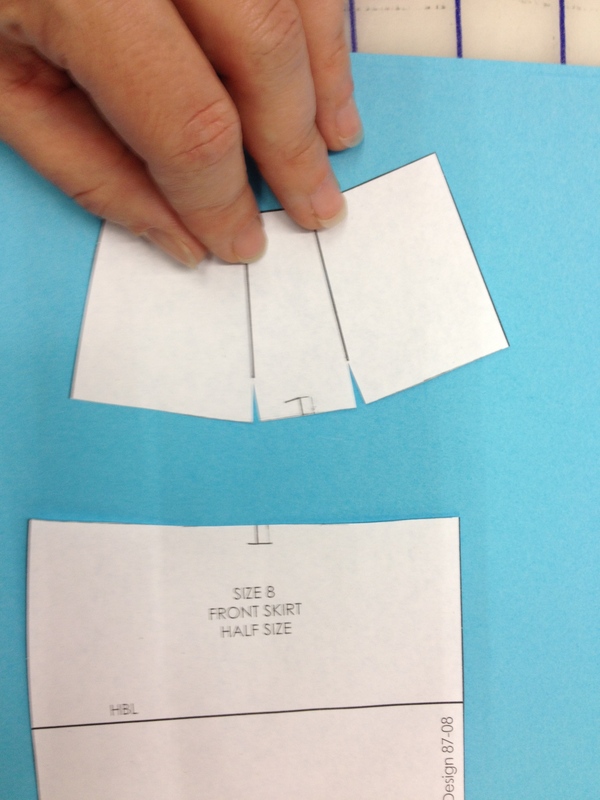 Do the same thing with both sides of the skirt, This will be a cutting line, so put in notches around the middle. In front, the skirt darts end inside of the yoke. To close the darts, we need to cut up from the bottom of the yoke to (but not through) the ends of the darts. Now close out the darts. Use a curve to straighten up the top and bottom so they make smooth curves. Try not to add a lot of take away a lot – you want to make it pretty, not make it different. These little openings at the bottom of the yoke have added a teensy amount of extra to the yoke, so the bottom of the yoke and the top of the skirt (the main piece) are no longer the same length. We’re going to adjust this. Start by measuring the new openings. 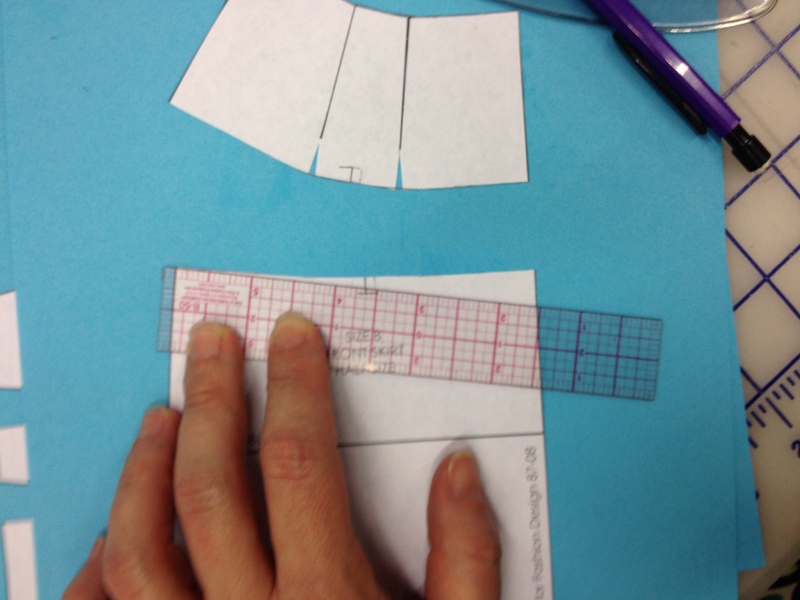 What we are going to do is adjust the top of the skirt piece to fit the yoke. 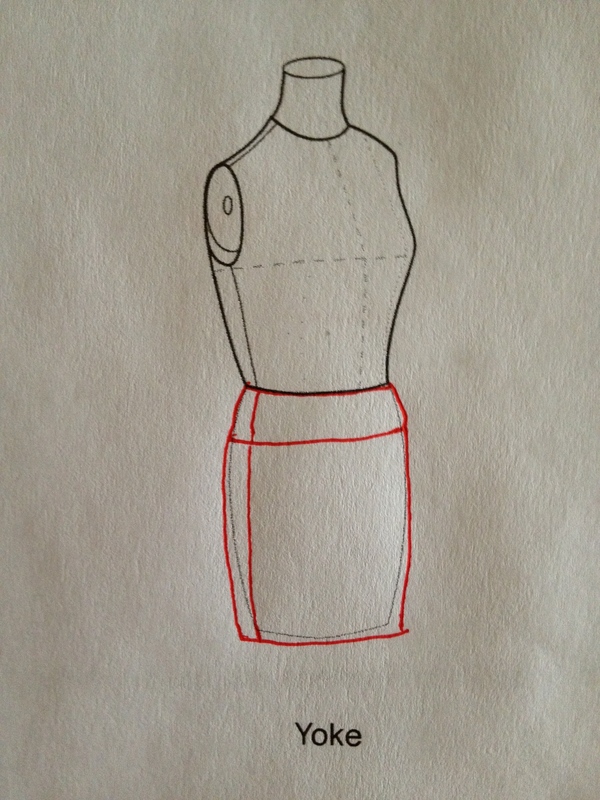 We could also adjust the yoke to fit back to the skirt piece. Either one is a fine solution, and you’ll find that the “right” answer is generally determined by body type. In this case, the adjustment is so small that we could have easily eased our yoke onto our skirt, and it would have been fine. I wanted my students to know how to adjust, for those times when the difference isn’t so small. I had two 1/16″ openings. 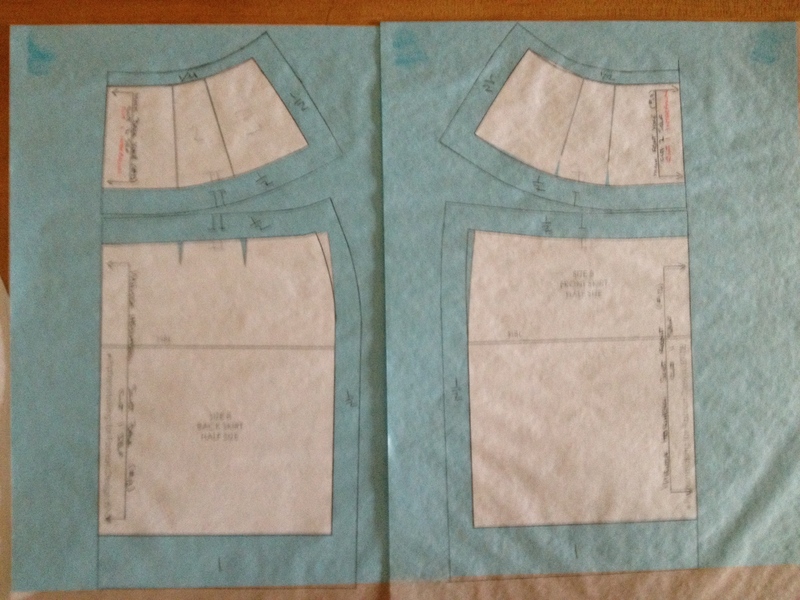 I am going to add the sum of these, 1/8″ to the outside of the skirt at the top of the hip. True this into the side of the hip. Here comes the tricky part: Move the skirt notch over towards the side by the measurement of the center-most yoke opening. 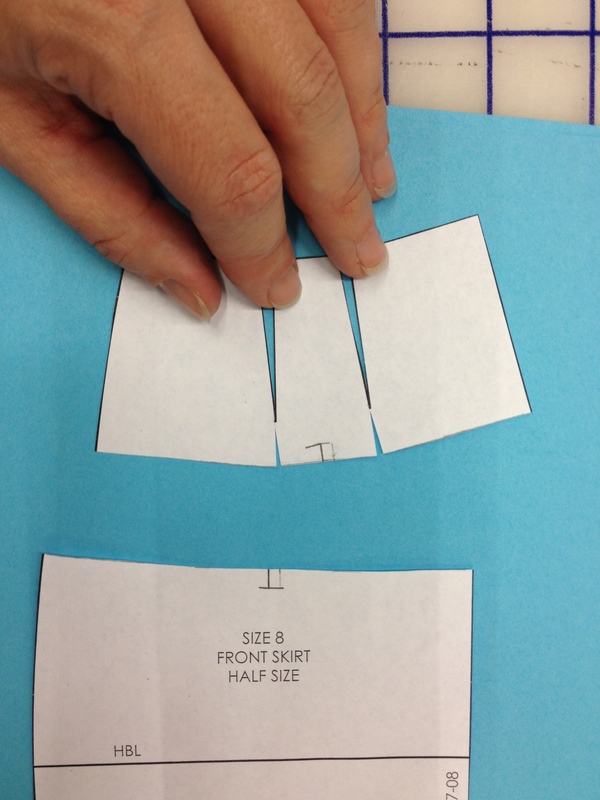 This is so that your notches will line up when you sew. Things are slightly different in the back, because the darts go past the yoke. We can close the yoke into a solid piece easily. 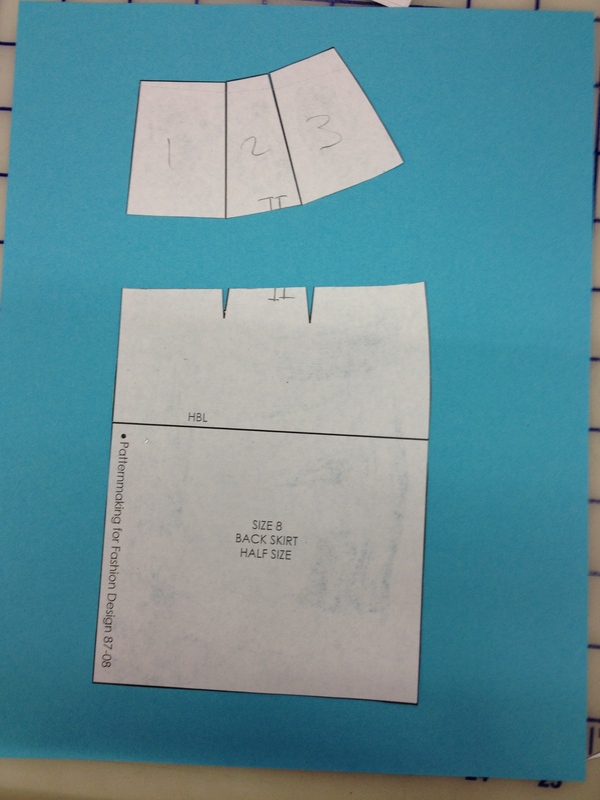 Then it’s the opposite of the front: instead of adding to the skirt to match the yoke, we have to subtract. The back (left) is adjusted in to the piece to remove the extra from the tips of the darts. The front (right) is adjusted outward to accommodate the slightly larger yoke. 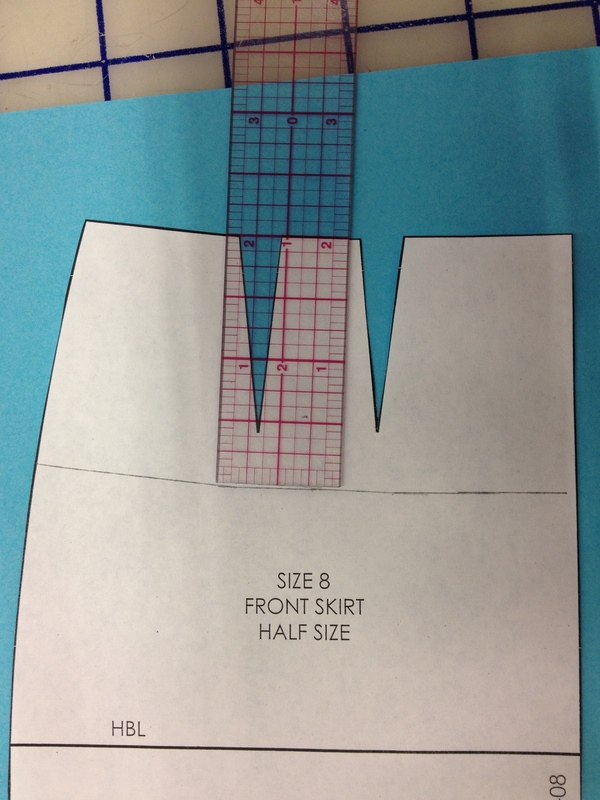 Here is the very important part: if you are taking out of a skirt block, like the back adjustment, make sure you keep the adjustment small and above the full hip line so that you don’t remove the wearing ease.